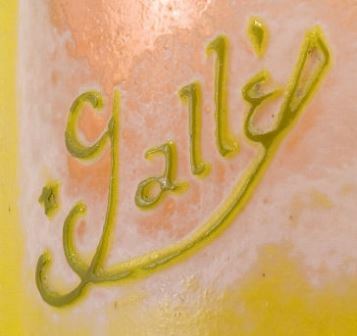 This is the standard Galle mark used on vases that were made after the death of Emile Galle in 1904. It has a star symbol at the beginning of the mark. It will always be on the side of the vase.